Great value, great venue and great fun! 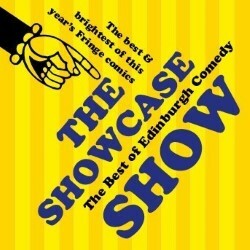 Lunchtime compilation showcasing comedians you must not miss with new line-ups every day hand-picked from across the Fringe. If you want to start your day on a comedy high plus get tips on which acts to check out, this is the place to be! See edcomproductions.com for daily listings and news. 'A perfect bite-sized flavour of the festival' **** (ThreeWeeks). 'A brilliant way to discover new talent' **** (ThreeWeeks). 'This delightful afternoon slot at The Pleasance is a crowd pleaser' (BroadwayBaby.com).